The government is reportedly coming under pressure from the Union’s competition branch to put our rail services out to international tender. UNION OPPOSITION IS mounting already to the news that Ireland is coming under pressure from the EU to offer our rail transport services up for privatisation. The EU’s Council of Transport Ministers discussed in June a fourth railway package with the overall aim of strengthening the European Rail Agency (ERA) as a union-wide regulator for rail services, and the mandatory tendering for public service contracts. Ireland, together with seven other small member states (including Luxembourg, Bulgaria and Estonia), are resisting the reforms with the argument that their rail services are too small to have any impact. It seems the EU’s Competition Commission wishes to see further private competition among our transport services however. Currently the contract for running our rail services is renewed every 10 years, with Irish Rail (Iarnród Éireann) holding the commission until its expiry in 2019. 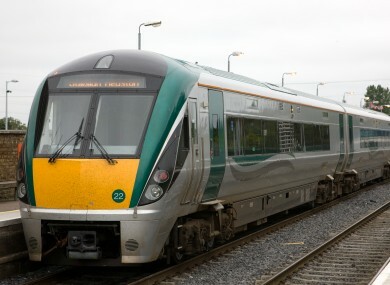 Irish Rail operates all rail services in this country, with the exception of Dublin’s Luas tram system which is run by French company Veolia. Speaking to TheJournal.ie, General Secretary of the National Bus and Railworker’s Union Dermot O’Leary said that such a move would “not be beneficial to either passengers or staff”. “We’ll certainly be opposing any move in that direction,” he said. The subsidy in the UK has trebled since privatisation and fares have risen dramatically. Taxpayer support per rail passenger in the UK is England = €3.12 Scotland €10.84 and Wales at €13.30, which does not represent value for money for the taxpayer. It must be remembered also that the Luas is owned by a non-Irish company, and it’s the most heavily-subsidised transport system in the country. Meanwhile, SIPTU have expressed their support for the Department of Transport in seeking a “derogation for Ireland” from the EU railway package. “This flawed EU proposal will do nothing to assist rail users and has the potential to undermine the operation of our coherent and integrated transport system,” said spokesman for the services union Owen Reidy. We must call this for what it is, a clear and naked attack on rail workers. If this plan is allowed to proceed it will lead to a severe erosion in terms and conditions of employment in Irish Rail. The Irish rail market is small and only requires one operator. This package will see international operators seeking to cherry pick attractive lines to maximise profit at the expense of rail users and workers. An Irish Rail spokesman told us that “from our point of view the government continues to support the direct award for services”. Which tallies with what Minister for Transport Paschal Donohoe told the Joint Committee on Transport back on 17 June. Sinn Féin have made their opposition to any privatisation known this morning with MEP Lynn Boylan saying “all attempts to privatise these services must be resisted”. “The government must push hard to secure a derogation for Ireland from these Commission proposals,” said Boylan. “The political aspect needs to be negotiated now,” Fine Gael MEP Deirdre Clune told TheJournal.ie this afternoon, who acknowledged that if it came down to public tender Irish Rail “couldn’t compete”. We’ve gotten exemptions three times previously from these railway plans, and we won’t be getting one this time. I still think a compromise will be reached, with increased supervision or regulation coming from the ERA – maybe a system of key performance indicators. But otherwise things will remain unchanged. Read: Should Dublin have its own transport police? Email “Ireland's railways could be the next up for privatisation...”. Feedback on “Ireland's railways could be the next up for privatisation...”.